There are a lot of different ways to take on the task of improving the value of a property. Whether you’re simply making it more desirable or increasing the amount of money the place is worth, this sort of work is always worth it when you’re selling a home. Nowadays, you have more options than ever before when it comes to this area, but some are newer than others. To help you out, this post will be exploring some of the newest of them all, giving you an insight into the world of ultra-modern renovations, along with providing you with the knowledge you need to get started on this approach. When I bought my new-build house and found it had connectivity to charge an electric car on the driveway, I thought it was a little overkill, who has an electric car!? Far forward a couple of years, and it’s not that crazy, and I’ve actually been looking at one myself. While they still aren’t as commonplace as they should be, electric cars have quickly started to become more prevalent in cities around the world. When you have a vehicle like this, though, dealing with slow chargers which plug into your wall sockets isn’t exactly ideal, and it can take more than a night to charge it up to full using a system like this. To combat this issue, there are loads of companies out there which offer machines which can pump out a lot more power than a weedier option. You will need an engineer to come and fit it for you, but this will be worth it if you live somewhere with a lot of vehicles like this, as it will make the house a lot more desirable. Home automation has been around for a very long time, with early products on DOS operating systems using power-line technology to send signals around your home to control lights and other small jobs. Nowadays, one of the most notable areas for this sort of technology is entertainment, with companies like Kino AV doing loads of work in this field. Music and video can follow you around your home, moving from room to room with you. You can use your phone as a remote control with a lot of modern TVs as standard, but this gets even better once a proper home automation system is thrown into the mix, giving you access to tools which could have come out of a sci-fi novel. Of course, though, home automation goes much further than simply controlling the music and movies you want to consume. Along with this, to give you the chance to make your home as secure as possible, this field extends into automatic CCTV, smart locks, and a lot of other tools which are designed to keep your home on lock down. It doesn’t stop here, either. Along with security, home automation can make life a lot more convenient, with lighting, blinds, and even artwork being changed at the press of a button. This is an excellent way to make your home stand out from the crowd. As time goes on, fast internet speeds are becoming an increasingly important resource. You can pay for all of the speed you want when it comes to a product like this, though, only to have your home bottleneck the network before you are able to access it. A modern internet connection requires modern hardware, and being able to get the fastest speeds requires more than just cables. Along with this, a dedicated switch is a good idea, as this can give you the power to route cables and power wifi throughout the building. While this won’t matter to some people, it will be a very big selling point for others, making it well worth looking at it as an option for your place. We’ve struggled with internet speeds where we live, and everybody in our neighbourhood feels the same. We’ve got a Facebook group and a recently had a meeting with an MP, trust me, people care. Especially with an increasing amount of people running businesses from their home. Environmental awareness is becoming an increasingly important thing for people all over the world. With resources dwindling, and popular media pushing for change in the way that resources are taken and used, it’s easy to see why people want to keep their home as green as possible. There are loads of ways to achieve a goal like this. Solar panels, greenhouses, and water collection drums are all excellent ways to create a sustainable home, increasing the value of your property, while also making it a hit amongst those who want to do their part. Of course, though, you have to work hard to make sure that you’re choosing options which will actually work. With all of this in mind, you should be feeling ready to start working towards the home of the future. When you’re selling a property, it’s worth putting time into making it as valuable as possible. This is a chance to make a profit, and far too few people take this opportunity seriously, simply letting it go to waste. 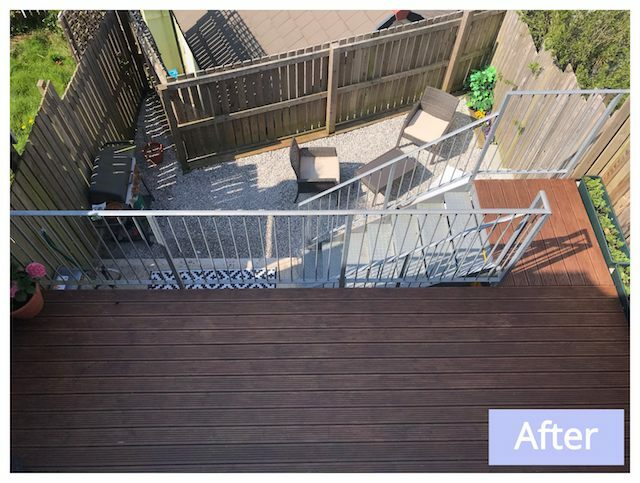 How we transformed our garden with less than £100, and you can too! Click to see our most popular posts!